Silver This vehicle has passed our precise inspection process. Best of all the price you see is the price you pay. No haggling. No back and forth. No pressure. And this price is so good it is guaranteed. Thank you for visiting another one of Mercedes-Benz of Smithtown exclusive listings! Seller Disclaimer: All cars are subject to prior sales, Mileages,Equipment, Color and Prices may vary due to the involvement of other vendors and human error. * All prices are plus Tax, DMV and Documentation fees. All advertised interest rates are subject to buyer qualification. *Please contact us with any questions, we're here to serve you. Due to the quality of our Pre-Owned Vehicles, the overwhelming response to our aggressive pricing, some of the vehicles listed on this website may no longer be available. If you are looking for a specific vehicle, Visit www.mbofsmithtown.com.Silver This vehicle has passed our precise inspection process. Best of all the price you see is the price you pay. No haggling. No back and forth. No pressure. And this price is so good it is guaranteed. 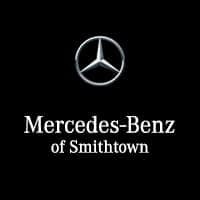 Thank you for visiting another one of Mercedes-Benz of Smithtown exclusive listings! 3.0L V6 DOHC, 7-Speed Automatic, RWD, 18" AMG® Twin 5-Spoke Alloy Wheels, Adaptive Highbeam Assist, AIRSCARF® - Ventilated Headrest, Blind Spot Assist, Chrome Door Handle Inserts, COMAND®® System, Corner-Illuminating Lamps, Full LED Headlamps, harman/kardon®® Logic 7® Surround Sound System, Illuminated Door Sills, Illuminated Star, KEYLESS GO®, Lane Keeping Assist, Mirror Package, Multicontour Front Seats, Power Folding Mirrors, Premium 2 Package, Rear Trunklid Spoiler, SIRIUSXM Satellite Radio, Sport Package, Sportline Package. Iridium Silver Metallic This vehicle has passed our precise inspection process. Best of all the price you see is the price you pay. No haggling. No back and forth. No pressure. And this price is so good it is guaranteed. Thank you for visiting another one of Mercedes-Benz of Smithtown exclusive listings! CARFAX One-Owner. Certified. Mercedes-Benz Certified Pre-Owned Details: * 165 Point Inspection * Roadside Assistance * Transferable Warranty * Includes Trip Interruption Reimbursement and 7 days/500 miles Exchange Privilege * Warranty Deductible: $0 * Vehicle History * Limited Warranty: 12 Month/Unlimited Mile beginning after new car warranty expires or from certified purchase date 20/29 City/Highway MPG Awards: * 2016 IIHS Top Safety Pick+ Seller Disclaimer: All cars are subject to prior sales, Mileages,Equipment, Color and Prices may vary due to the involvement of other vendors and human error. * All prices are plus Tax, DMV and Documentation fees. All advertised interest rates are subject to buyer qualification. *Please contact us with any questions, we're here to serve you. Due to the quality of our Pre-Owned Vehicles, the overwhelming response to our aggressive pricing, some of the vehicles listed on this website may no longer be available. If you are looking for a specific vehicle, Visit www.mbofsmithtown.com.3.0L V6 DOHC, 7-Speed Automatic, RWD, 18" AMG® Twin 5-Spoke Alloy Wheels, Adaptive Highbeam Assist, AIRSCARF® - Ventilated Headrest, Blind Spot Assist, Chrome Door Handle Inserts, COMAND®® System, Corner-Illuminating Lamps, Full LED Headlamps, harman/kardon®® Logic 7® Surround Sound System, Illuminated Door Sills, Illuminated Star, KEYLESS GO®, Lane Keeping Assist, Mirror Package, Multicontour Front Seats, Power Folding Mirrors, Premium 2 Package, Rear Trunklid Spoiler, SIRIUSXM Satellite Radio, Sport Package, Sportline Package. Iridium Silver Metallic This vehicle has passed our precise inspection process. Best of all the price you see is the price you pay. No haggling. No back and forth. No pressure. And this price is so good it is guaranteed. Thank you for visiting another one of Mercedes-Benz of Smithtown exclusive listings! 3.5L 6-Cylinder DOHC, 7G-TRONIC PLUS 7-Speed Automatic, 4MATIC®, 4-Way Power Driver Lumbar Support, Avantgarde Line, Burl Walnut Wood Trim, COMAND® System w/Hard-Drive Navigation, Driver's Seat Memory & Power Steering Column, Heated Front Seats, iPod/MP3 Media Interface Cable, iPod/MP3 Media Interface Package, Multimedia Package, Premium 1 Package, Radio: In-Dash 6-Disc DVD/CD Changer, SIRIUS Satellite Radio, Split Folding Rear Seats, Sport Body Styling, Sport Package, Sport Sedan Package, Sport Suspension, Voice Control. Polar White This vehicle has passed our precise inspection process. Best of all the price you see is the price you pay. No haggling. No back and forth. No pressure. And this price is so good it is guaranteed. Thank you for visiting another one of Mercedes-Benz of Smithtown exclusive listings! Priced below KBB Fair Purchase Price! Certified. Mercedes-Benz Certified Pre-Owned Details: * 165 Point Inspection * Warranty Deductible: $0 * Transferable Warranty * Roadside Assistance * Limited Warranty: 12 Month/Unlimited Mile beginning after new car warranty expires or from certified purchase date * Vehicle History * Includes Trip Interruption Reimbursement and 7 days/500 miles Exchange Privilege Odometer is 35644 miles below market average! Seller Disclaimer: All cars are subject to prior sales, Mileages,Equipment, Color and Prices may vary due to the involvement of other vendors and human error. * All prices are plus Tax, DMV and Documentation fees. All advertised interest rates are subject to buyer qualification. *Please contact us with any questions, we're here to serve you. Due to the quality of our Pre-Owned Vehicles, the overwhelming response to our aggressive pricing, some of the vehicles listed on this website may no longer be available. If you are looking for a specific vehicle, Visit www.mbofsmithtown.com.3.5L 6-Cylinder DOHC, 7G-TRONIC PLUS 7-Speed Automatic, 4MATIC®, 4-Way Power Driver Lumbar Support, Avantgarde Line, Burl Walnut Wood Trim, COMAND® System w/Hard-Drive Navigation, Driver's Seat Memory & Power Steering Column, Heated Front Seats, iPod/MP3 Media Interface Cable, iPod/MP3 Media Interface Package, Multimedia Package, Premium 1 Package, Radio: In-Dash 6-Disc DVD/CD Changer, SIRIUS Satellite Radio, Split Folding Rear Seats, Sport Body Styling, Sport Package, Sport Sedan Package, Sport Suspension, Voice Control. Polar White This vehicle has passed our precise inspection process. Best of all the price you see is the price you pay. No haggling. No back and forth. No pressure. And this price is so good it is guaranteed. Thank you for visiting another one of Mercedes-Benz of Smithtown exclusive listings! Odometer is 35644 miles below market average! 3.0L V6 DOHC, 7-Speed Automatic, RWD, Adaptive Highbeam Assist, AIRSCARF® - Ventilated Headrest, Blind Spot Assist, Chrome Door Handle Inserts, COMAND®® System, Corner-Illuminating Lamps, Full LED Headlamps, harman/kardon®® Logic 7® Surround Sound System, Illuminated Door Sills, Illuminated Star, KEYLESS GO®, Lane Keeping Assist, Mirror Package, Multicontour Front Seats, Power Folding Mirrors, Premium 2 Package, Rear Trunklid Spoiler, SIRIUSXM Satellite Radio, Sport Package, Sportline Package, Wheel Locks. Black This vehicle has passed our precise inspection process. Best of all the price you see is the price you pay. No haggling. No back and forth. No pressure. And this price is so good it is guaranteed. Thank you for visiting another one of Mercedes-Benz of Smithtown exclusive listings! CARFAX One-Owner. Certified. Mercedes-Benz Certified Pre-Owned Details: * Transferable Warranty * Vehicle History * Warranty Deductible: $0 * Includes Trip Interruption Reimbursement and 7 days/500 miles Exchange Privilege * Roadside Assistance * 165 Point Inspection * Limited Warranty: 12 Month/Unlimited Mile beginning after new car warranty expires or from certified purchase date Odometer is 11927 miles below market average! 20/29 City/Highway MPG Awards: * 2016 IIHS Top Safety Pick+ Seller Disclaimer: All cars are subject to prior sales, Mileages,Equipment, Color and Prices may vary due to the involvement of other vendors and human error. * All prices are plus Tax, DMV and Documentation fees. All advertised interest rates are subject to buyer qualification. *Please contact us with any questions, we're here to serve you. Due to the quality of our Pre-Owned Vehicles, the overwhelming response to our aggressive pricing, some of the vehicles listed on this website may no longer be available. If you are looking for a specific vehicle, Visit www.mbofsmithtown.com.3.0L V6 DOHC, 7-Speed Automatic, RWD, Adaptive Highbeam Assist, AIRSCARF® - Ventilated Headrest, Blind Spot Assist, Chrome Door Handle Inserts, COMAND®® System, Corner-Illuminating Lamps, Full LED Headlamps, harman/kardon®® Logic 7® Surround Sound System, Illuminated Door Sills, Illuminated Star, KEYLESS GO®, Lane Keeping Assist, Mirror Package, Multicontour Front Seats, Power Folding Mirrors, Premium 2 Package, Rear Trunklid Spoiler, SIRIUSXM Satellite Radio, Sport Package, Sportline Package, Wheel Locks. Black This vehicle has passed our precise inspection process. Best of all the price you see is the price you pay. No haggling. No back and forth. No pressure. And this price is so good it is guaranteed. Thank you for visiting another one of Mercedes-Benz of Smithtown exclusive listings! 3.0L V6 DOHC, 7-Speed Automatic, 4MATIC®, 18" AMG® Twin 5-Spoke Wheels, Adaptive Highbeam Assist, Aluminum Pedals w/Rubber Studs, AMG® Sport Package, Blind Spot Assist, COMAND®® System, Corner-Illuminating Lamps, Full LED Headlamps, harman/kardon®® Logic 7® Surround Sound System, KEYLESS GO®, Lane Keeping Assist, Mirror Package, Multicontour Front Seats, Perforated Brake Discs, Power Folding Mirrors, Power Rear-Window Shade, Premium 2 Package, Rear Trunklid Spoiler, SIRIUSXM Satellite Radio, Sport Package, Wood/Leather Steering Wheel. Polar White This vehicle has passed our precise inspection process. Best of all the price you see is the price you pay. No haggling. No back and forth. No pressure. And this price is so good it is guaranteed. Thank you for visiting another one of Mercedes-Benz of Smithtown exclusive listings! CARFAX One-Owner. Certified. Mercedes-Benz Certified Pre-Owned Details: * Limited Warranty: 12 Month/Unlimited Mile beginning after new car warranty expires or from certified purchase date * Vehicle History * Warranty Deductible: $0 * Roadside Assistance * 165 Point Inspection * Transferable Warranty * Includes Trip Interruption Reimbursement and 7 days/500 miles Exchange Privilege Odometer is 6406 miles below market average! 20/28 City/Highway MPG Awards: * 2016 IIHS Top Safety Pick+ Seller Disclaimer: All cars are subject to prior sales, Mileages,Equipment, Color and Prices may vary due to the involvement of other vendors and human error. * All prices are plus Tax, DMV and Documentation fees. All advertised interest rates are subject to buyer qualification. *Please contact us with any questions, we're here to serve you. Due to the quality of our Pre-Owned Vehicles, the overwhelming response to our aggressive pricing, some of the vehicles listed on this website may no longer be available. If you are looking for a specific vehicle, Visit www.mbofsmithtown.com.3.0L V6 DOHC, 7-Speed Automatic, 4MATIC®, 18" AMG® Twin 5-Spoke Wheels, Adaptive Highbeam Assist, Aluminum Pedals w/Rubber Studs, AMG® Sport Package, Blind Spot Assist, COMAND®® System, Corner-Illuminating Lamps, Full LED Headlamps, harman/kardon®® Logic 7® Surround Sound System, KEYLESS GO®, Lane Keeping Assist, Mirror Package, Multicontour Front Seats, Perforated Brake Discs, Power Folding Mirrors, Power Rear-Window Shade, Premium 2 Package, Rear Trunklid Spoiler, SIRIUSXM Satellite Radio, Sport Package, Wood/Leather Steering Wheel. Polar White This vehicle has passed our precise inspection process. Best of all the price you see is the price you pay. No haggling. No back and forth. No pressure. And this price is so good it is guaranteed. Thank you for visiting another one of Mercedes-Benz of Smithtown exclusive listings! 4.7L V8 BiTurbo, 7-Speed Automatic, 4MATIC®, Active Multi-Contour Seats w/Massage, Comfort Box, Control Code Premium 1 Package, Front Heated Seats - PLUS, Hands-Free Access, Heated & Active Ventilated Front Seats, KEYLESS GO®, PARKTRONIC w/Active Parking Assist, Power Rear Side Window Sunblinds, Premium 1 Package, Wheels: 19" Twin 5-Spoke. Anthracite Blue This vehicle has passed our precise inspection process. Best of all the price you see is the price you pay. No haggling. No back and forth. No pressure. And this price is so good it is guaranteed. Thank you for visiting another one of Mercedes-Benz of Smithtown exclusive listings! CARFAX One-Owner. Clean CARFAX. Certified. Mercedes-Benz Certified Pre-Owned Details: * Vehicle History * 165 Point Inspection * Includes Trip Interruption Reimbursement and 7 days/500 miles Exchange Privilege * Limited Warranty: 12 Month/Unlimited Mile beginning after new car warranty expires or from certified purchase date * Transferable Warranty * Roadside Assistance * Warranty Deductible: $0 16/26 City/Highway MPG Seller Disclaimer: All cars are subject to prior sales, Mileages,Equipment, Color and Prices may vary due to the involvement of other vendors and human error. * All prices are plus Tax, DMV and Documentation fees. All advertised interest rates are subject to buyer qualification. *Please contact us with any questions, we're here to serve you. Due to the quality of our Pre-Owned Vehicles, the overwhelming response to our aggressive pricing, some of the vehicles listed on this website may no longer be available. If you are looking for a specific vehicle, Visit www.mbofsmithtown.com.4.7L V8 BiTurbo, 7-Speed Automatic, 4MATIC®, Active Multi-Contour Seats w/Massage, Comfort Box, Control Code Premium 1 Package, Front Heated Seats - PLUS, Hands-Free Access, Heated & Active Ventilated Front Seats, KEYLESS GO®, PARKTRONIC w/Active Parking Assist, Power Rear Side Window Sunblinds, Premium 1 Package, Wheels: 19" Twin 5-Spoke. Anthracite Blue This vehicle has passed our precise inspection process. Best of all the price you see is the price you pay. No haggling. No back and forth. No pressure. And this price is so good it is guaranteed. Thank you for visiting another one of Mercedes-Benz of Smithtown exclusive listings! 3.5L 6-Cylinder DOHC, 7-Speed Automatic, 4MATIC®, 18" AMG® Twin 5-Spoke Wheels, Adaptive Highbeam Assist, Blind Spot Assist, COMAND® Navigation, Comfort Box, Control Code, Electronic Trunk Closer, Full-LED Headlamps w/Active Curve Illumination, Hands-Free Access, harman/kardon®® Logic 7® Surround Sound System, Heated Front Seats, KEYLESS GO Package, KEYLESS GO®, Lane Keeping Assist, Lane Keeping Assist Package Code, Lane Tracking Package, Lighting Package, Mirror Package, Multi-Year Update, Power Folding Mirrors, Power Rear Window Sunshade, Premium Package, Rear Spoiler, SIRIUS Satellite Radio, Split-Folding Rear Seats, Sport Package. Black This vehicle has passed our precise inspection process. Best of all the price you see is the price you pay. No haggling. No back and forth. No pressure. And this price is so good it is guaranteed. Thank you for visiting another one of Mercedes-Benz of Smithtown exclusive listings! CARFAX One-Owner. Clean CARFAX. Certified. Mercedes-Benz Certified Pre-Owned Details: * Warranty Deductible: $0 * 165 Point Inspection * Includes Trip Interruption Reimbursement and 7 days/500 miles Exchange Privilege * Limited Warranty: 12 Month/Unlimited Mile beginning after new car warranty expires or from certified purchase date * Roadside Assistance * Transferable Warranty * Vehicle History Odometer is 5907 miles below market average! 20/28 City/Highway MPG Seller Disclaimer: All cars are subject to prior sales, Mileages,Equipment, Color and Prices may vary due to the involvement of other vendors and human error. * All prices are plus Tax, DMV and Documentation fees. All advertised interest rates are subject to buyer qualification. *Please contact us with any questions, we're here to serve you. Due to the quality of our Pre-Owned Vehicles, the overwhelming response to our aggressive pricing, some of the vehicles listed on this website may no longer be available. If you are looking for a specific vehicle, Visit www.mbofsmithtown.com.3.5L 6-Cylinder DOHC, 7-Speed Automatic, 4MATIC®, 18" AMG® Twin 5-Spoke Wheels, Adaptive Highbeam Assist, Blind Spot Assist, COMAND® Navigation, Comfort Box, Control Code, Electronic Trunk Closer, Full-LED Headlamps w/Active Curve Illumination, Hands-Free Access, harman/kardon®® Logic 7® Surround Sound System, Heated Front Seats, KEYLESS GO Package, KEYLESS GO®, Lane Keeping Assist, Lane Keeping Assist Package Code, Lane Tracking Package, Lighting Package, Mirror Package, Multi-Year Update, Power Folding Mirrors, Power Rear Window Sunshade, Premium Package, Rear Spoiler, SIRIUS Satellite Radio, Split-Folding Rear Seats, Sport Package. Black This vehicle has passed our precise inspection process. Best of all the price you see is the price you pay. No haggling. No back and forth. No pressure. And this price is so good it is guaranteed. Thank you for visiting another one of Mercedes-Benz of Smithtown exclusive listings! Black Certified Pre-Owned! 2.0L I4 Turbocharged, 7G-TRONIC PLUS 7-Speed Automatic, 4MATIC®, Burl Walnut Wood Trim, Heated Front Seats, Panorama Sunroof, Rear-View Camera. Black This vehicle has passed our precise inspection process. Best of all the price you see is the price you pay. No haggling. No back and forth. No pressure. And this price is so good it is guaranteed. Thank you for visiting another one of Mercedes-Benz of Smithtown exclusive listings! Recent Arrival! CARFAX One-Owner. Clean CARFAX. Certified. Mercedes-Benz Certified Pre-Owned Details: * Warranty Deductible: $0 * Includes Trip Interruption Reimbursement and 7 days/500 miles Exchange Privilege * Roadside Assistance * 165 Point Inspection * Limited Warranty: 12 Month/Unlimited Mile beginning after new car warranty expires or from certified purchase date * Transferable Warranty * Vehicle History 24/31 City/Highway MPG Seller Disclaimer: All cars are subject to prior sales, Mileages,Equipment, Color and Prices may vary due to the involvement of other vendors and human error. * All prices are plus Tax, DMV and Documentation fees. All advertised interest rates are subject to buyer qualification. *Please contact us with any questions, we're here to serve you. Due to the quality of our Pre-Owned Vehicles, the overwhelming response to our aggressive pricing, some of the vehicles listed on this website may no longer be available. If you are looking for a specific vehicle, Visit www.mbofsmithtown.com.Black Certified Pre-Owned! 2.0L I4 Turbocharged, 7G-TRONIC PLUS 7-Speed Automatic, 4MATIC®, Burl Walnut Wood Trim, Heated Front Seats, Panorama Sunroof, Rear-View Camera. Black This vehicle has passed our precise inspection process. Best of all the price you see is the price you pay. No haggling. No back and forth. No pressure. And this price is so good it is guaranteed. Thank you for visiting another one of Mercedes-Benz of Smithtown exclusive listings! 4.7L V8 DGI DOHC 32V Twin Turbocharged, RWD, 19" x 8.5" Fr x 19" x 9.5" Rr AMG® 5-Spoke Wheels, Active Blind Spot Assist, Active Lane Keeping Assist, Active Multicontour Seats, Active Ventilated Seats, AIRSCARF® Ventilated Headrest, Analog Clock on Dash Top, Comfort Package Code, DISTRONIC PLUS® w/Pre-Safe Brake, Driver Assistance Package, Hands-Free Access, Illuminated Door Sills, KEYLESS GO®, MAGIC SKY CONTROL®, PARKTRONIC w/Active Parking Assist, Power Trunk Closer, Premium 1 Package, Rear-View Camera, Sport Brake System, Sport Steering Wheel, Sport Wheel Package, Wood/Leather Steering Wheel. Iridium Silver Metallic This vehicle has passed our precise inspection process. Best of all the price you see is the price you pay. No haggling. No back and forth. No pressure. And this price is so good it is guaranteed. Thank you for visiting another one of Mercedes-Benz of Smithtown exclusive listings! Clean CARFAX. Certified. Mercedes-Benz Certified Pre-Owned Details: * Limited Warranty: 12 Month/Unlimited Mile beginning after new car warranty expires or from certified purchase date * Roadside Assistance * 165 Point Inspection * Includes Trip Interruption Reimbursement and 7 days/500 miles Exchange Privilege * Transferable Warranty * Vehicle History * Warranty Deductible: $0 Awards: * JD Power APEAL Study Seller Disclaimer: All cars are subject to prior sales, Mileages,Equipment, Color and Prices may vary due to the involvement of other vendors and human error. * All prices are plus Tax, DMV and Documentation fees. All advertised interest rates are subject to buyer qualification. *Please contact us with any questions, we're here to serve you. Due to the quality of our Pre-Owned Vehicles, the overwhelming response to our aggressive pricing, some of the vehicles listed on this website may no longer be available. If you are looking for a specific vehicle, Visit www.mbofsmithtown.com.4.7L V8 DGI DOHC 32V Twin Turbocharged, RWD, 19" x 8.5" Fr x 19" x 9.5" Rr AMG® 5-Spoke Wheels, Active Blind Spot Assist, Active Lane Keeping Assist, Active Multicontour Seats, Active Ventilated Seats, AIRSCARF® Ventilated Headrest, Analog Clock on Dash Top, Comfort Package Code, DISTRONIC PLUS® w/Pre-Safe Brake, Driver Assistance Package, Hands-Free Access, Illuminated Door Sills, KEYLESS GO®, MAGIC SKY CONTROL®, PARKTRONIC w/Active Parking Assist, Power Trunk Closer, Premium 1 Package, Rear-View Camera, Sport Brake System, Sport Steering Wheel, Sport Wheel Package, Wood/Leather Steering Wheel. Iridium Silver Metallic This vehicle has passed our precise inspection process. Best of all the price you see is the price you pay. No haggling. No back and forth. No pressure. And this price is so good it is guaranteed. Thank you for visiting another one of Mercedes-Benz of Smithtown exclusive listings! Magnetite Black Metallic Certified Pre-Owned! All-Season Floor Mats. This vehicle has passed our precise inspection process. Best of all the price you see is the price you pay. No haggling. No back and forth. No pressure. And this price is so good it is guaranteed. Thank you for visiting another one of Mercedes-Benz of Smithtown exclusive listings! CARFAX One-Owner. Certified. Mercedes-Benz Certified Pre-Owned Details: * Warranty Deductible: $0 * 165 Point Inspection * Includes Trip Interruption Reimbursement and 7 days/500 miles Exchange Privilege * Limited Warranty: 12 Month/Unlimited Mile beginning after new car warranty expires or from certified purchase date * Vehicle History * Roadside Assistance * Transferable Warranty Odometer is 14190 miles below market average! Seller Disclaimer: All cars are subject to prior sales, Mileages,Equipment, Color and Prices may vary due to the involvement of other vendors and human error. * All prices are plus Tax, DMV and Documentation fees. All advertised interest rates are subject to buyer qualification. *Please contact us with any questions, we're here to serve you. Due to the quality of our Pre-Owned Vehicles, the overwhelming response to our aggressive pricing, some of the vehicles listed on this website may no longer be available. If you are looking for a specific vehicle, Visit www.mbofsmithtown.com.Magnetite Black Metallic Certified Pre-Owned! All-Season Floor Mats. This vehicle has passed our precise inspection process. Best of all the price you see is the price you pay. No haggling. No back and forth. No pressure. And this price is so good it is guaranteed. Thank you for visiting another one of Mercedes-Benz of Smithtown exclusive listings! Odometer is 14190 miles below market average! Polar White Certified Pre-Owned! This vehicle has passed our precise inspection process. Best of all the price you see is the price you pay. No haggling. No back and forth. No pressure. And this price is so good it is guaranteed. Thank you for visiting another one of Mercedes-Benz of Smithtown exclusive listings! Recent Arrival! Clean CARFAX. Certified. Mercedes-Benz Certified Pre-Owned Details: * Vehicle History * Roadside Assistance * 165 Point Inspection * Limited Warranty: 12 Month/Unlimited Mile beginning after new car warranty expires or from certified purchase date * Includes Trip Interruption Reimbursement and 7 days/500 miles Exchange Privilege * Transferable Warranty * Warranty Deductible: $0 Seller Disclaimer: All cars are subject to prior sales, Mileages,Equipment, Color and Prices may vary due to the involvement of other vendors and human error. * All prices are plus Tax, DMV and Documentation fees. All advertised interest rates are subject to buyer qualification. *Please contact us with any questions, we're here to serve you. Due to the quality of our Pre-Owned Vehicles, the overwhelming response to our aggressive pricing, some of the vehicles listed on this website may no longer be available. If you are looking for a specific vehicle, Visit www.mbofsmithtown.com.Polar White Certified Pre-Owned! Palladium Silver Metallic Certified Pre-Owned! This vehicle has passed our precise inspection process. Best of all the price you see is the price you pay. No haggling. No back and forth. No pressure. And this price is so good it is guaranteed. Thank you for visiting another one of Mercedes-Benz of Smithtown exclusive listings! Recent Arrival! Clean CARFAX. Odometer is 14450 miles below market average! Seller Disclaimer: All cars are subject to prior sales, Mileages,Equipment, Color and Prices may vary due to the involvement of other vendors and human error. * All prices are plus Tax, DMV and Documentation fees. All advertised interest rates are subject to buyer qualification. *Please contact us with any questions, we're here to serve you. Due to the quality of our Pre-Owned Vehicles, the overwhelming response to our aggressive pricing, some of the vehicles listed on this website may no longer be available. If you are looking for a specific vehicle, Visit www.mbofsmithtown.com.Palladium Silver Metallic Certified Pre-Owned! Recent Arrival! Clean CARFAX. Odometer is 14450 miles below market average! If you’re searching for used cars for sale near St. James, you won’t need to sacrifice on price or quality when you shop at Mercedes-Benz of Smithtown. No matter the make or model year you’re looking for, we’re sure to have something on our lot that suits your driving needs. Browse our current inventory of used cars for sale in St. James for a closer look at used car inventory, as well as our other popular pre-owned options. We hope you choose us as your preferred used car dealership near St. James. When you’re ready to get behind the wheel of a used car that won’t let you down, visit our dealership to take your next potential vehicle for a spin.